Material: PU Leather and Sparkling Sequins. Size: 10 x 8 x 5cm/ 3.93 x 3.15 x 1.97 inch. Large capacity, can store ID cards, cash, coin, keys, USB cable, earphones, and other small items. 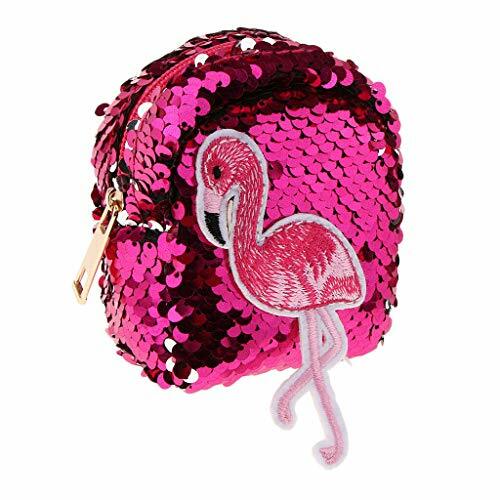 With Keyring, can be hung on keychain or bags as decoration. Adorable cartoon flamingo print. Great birthday /Christmas gift for your kids, love, friends, family etc.